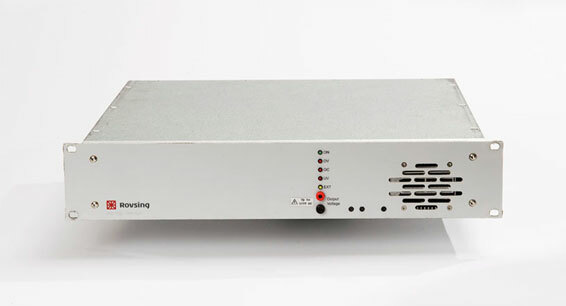 Rovsing has developed a range of Second Level Protection (SLP) products to ensure that the electric subsystem of the unit under test is not inadvertently damaged by the test equipment. Our SLP solutions are separated into High and Low current variants. 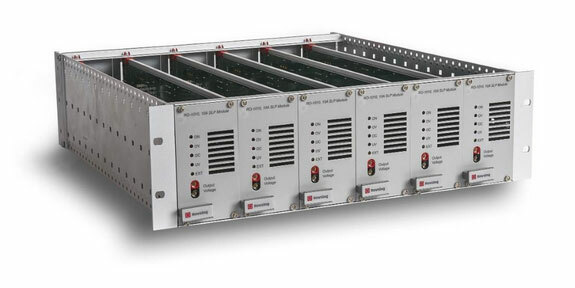 The major building blocks are the RO-1100 High Current SLP Platform, each capable of housing up to 2x RO-1100 100A SLP Modules. Each SLP Module is fully self-contained providing 2x over voltage protections (OVP) and 1x under voltage protection (UVP) measured via failsafe sense wires and 2x over current protection (OCP) mechanism. All protections can be individually programmed with respect to level and observation duration before triggering. Typically one OVP is used with higher level and shorter duration to e.g. enable a source to shortly overshoot a regulation. In the event of OCP, OVP, UVP, Power loss or internal failure, the SLP will open galvanic relays of all lines going out of the SLP (to e.g. a spacecraft). The very fast intervention time of nominal <100 µs is achieved by the use of semiconductor switches while the galvanic isolation is ensured by a mechanical relay capable of breaking the full Power of the line. 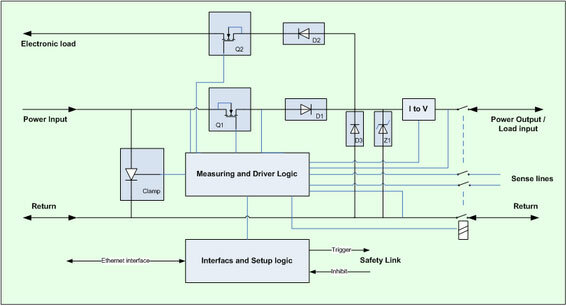 All monitoring and reaction is fully analog ensuring that the protection circuitry does not rely on clocked processes for safety critical protection events. The major building blocks are the RO-1000 Low Current SLP Platform, each capable of housing up to 6x RO-1010 10A SLP Modules. Each SLP Module is fully self-contained providing 2x over voltage protections (OVP) and 1x under voltage protection (UVP) measured via failsafe sense wires and 1x over current protection (OCP) mechanism. All protections can be individually programmed with respect to level and observation duration before triggering. Typically one OVP is used with higher level and shorter duration to e.g. enable a source to shortly overshoot a regulation. In the event of OCP, OVP, UVP, Power loss or internal failure, the SLP will open galvanic relays of all lines going out of the SLP (to e.g. a spacecraft). The very fast intervention time of nominal <10 µs is achieved by the use of semiconductor switches while the galvanic isolation is ensured by a mechanical relay capable of breaking the full Power of the line. All monitoring and reaction is fully analog ensuring that the protection circuitry does not rely on clocked processes for safety critical protection events. In the Rovsing SLP Modules the safety link may be used to rapidly propagate safety events to other SLP Modules thus providing complete galvanic isolation of the spacecraft.